The Maurice Wilkins Centre's ten current management committee principal investigators are recognised internationally as leaders in their respective fields. The group includes two winners of the Rutherford Medal, the highest honour of the Royal Society of New Zealand. Professor Rod Dunbar trained as a doctor at Otago University, before gaining a Health Research Council training fellowship and completing his PhD in Wellington. After six years at the University of Oxford, he returned to New Zealand in 2002 under a Wellcome Trust Senior Research Fellowship, to set up his laboratory at the University of Auckland. His main research area is human cellular immunology, especially the development of therapies for cancer that utilise the immune system, such as vaccines against melanoma. 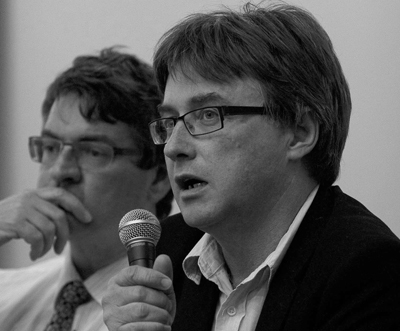 Professor Peter Shepherd graduated from Massey University and following postdoctoral positions at Harvard and Cambridge he became a staff member at University College London where he was promoted to Professor in 2003. There he became involved in biotechnology and was named London Young Biotechnology Entrepreneur of the year in 2002. Since moving back to Auckland in 2004 he has continued to focus on research of the signal transduction pathways in the cell and how defects in these lead to the development of cancer and diabetes. He founded biotechnology company Symansis to develop novel tools for drug discovery, and was co-founder of drug development company Pathway Therapeutics. 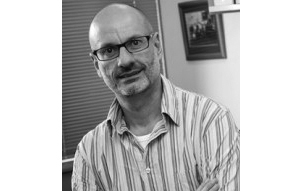 Professor Antony Braithwaite, from the Department of Pathology at the University of Otago, is an expert in the molecular mechanisms of cancer. His research is focused on the regulation of cell proliferation and cell survival and the role played by the tumour suppressor protein, p53, and in particular a novel oncogenic variant of p53 called delta 133p53. Professor Braithwaite is also a staff scientist at the Children’s Medical Research Institute, based at the University of Sydney, and splits his time between Otago and Sydney. Distinguished Professor Margaret Brimble is Director of Medicinal Chemistry at the University of Auckland. Amongst many national and international honours she has been appointed a Companion of the New Zealand Order of Merit, and received the Rutherford, Hector and MacDiarmid medals from the Royal Society of New Zealand, the Royal Society of Chemistry Natural Products Chemistry Award, the RACI Adrien Albert Award for medicinal chemistry, the IUPAC Distinguished Woman in Chemistry/Chemical Engineering Award and was named the 2007 L’Oréal-UNESCO Women in Science Laureate (Asia-Pacific). She is President of the IUPAC Organic and Bimolecular Division, Chair of the Rutherford Foundation and a member of the European Research Council Advanced Grants Panel. She is past-President of the International Society of Heterocyclic Chemistry and former Chair of the RSNZ Marsden Fund Physics, Chemistry and Biochemistry panel. Margaret’s team discovered the drug NNZ2566 for Neuren Pharmaceuticals Ltd (ASX) that was successful in phase 2 clinical trials for Rett syndrome and Fragile X Syndrome. NNZ2566 has been named trofinetide by the WHO and has been granted orphan drug and fast track status for these indications. Trofinetide is also currently in phase 2 clinical trials for traumatic brain injury (i.v.) and concussion (oral). Margaret’s peptide chemistry laboratory is New Zealand’s only laboratory accredited by Medsafe to manufacture peptides under cGMP for human clinical trial, and her team has manufactured five such peptides for the human clinical trial of a melanoma vaccine. Professor Greg Cook from the University of Otago is focused on developing bacterial metabolism and energetics as a new target space for drug development to combat bacterial pathogens. He currently works on the mode of action of several preclinical tuberculosis drugs and defining the role(s) of energetic targets in drug resistance. Professor Cook’s projects utilise a full range of modern techniques, including bacteriology, biochemistry, molecular biology, structural biology, transcriptomics, analytical chemistry, and PC3 laboratory experiments. Distinguished Professor Bill Denny received his PhD (organic synthesis) and DSc (drug design) degrees from the University of Auckland. He is co-director of the Auckland Cancer Society Research Centre at the University, and a founding scientist of two biotech companies. 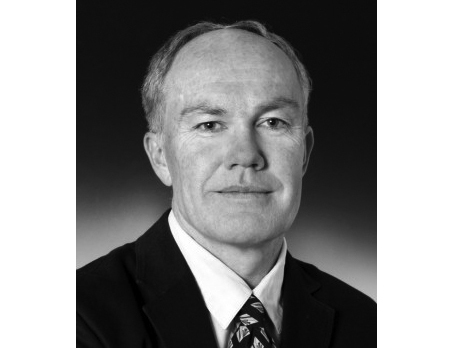 He is a past-President of the NZ Institute of Chemistry and the NZ Society for Oncology, and was appointed an Officer of the NZ Order of Merit in 2003. Awards include the Rutherford Medal of the Royal Society of New Zealand (1995), the Adrien Albert Medal of the UK Royal Society of Chemistry (2005) and the 2014 Medicinal Chemistry award of the American Chemical Society. His interests include all aspects of the design and evaluation of small-molecule drugs and he has been involved in the development of 13 drugs to clinical trial. Professor Dave Grattan from the University of Otago is a neuroendocrinologist, studying interactions between hormones and the brain. He has a particular interest in the central nervous system regulation of body weight and glucose homeostasis. He is a former president of the New Zealand Society of Endocrinology, and current chair of Neuroendocrinology Australasia, representing our region in the International Neuroendocrine Federation. In 2005, he was awarded the Triennial Medal for Outstanding Research in Physiology from the Physiological Society of New Zealand, and in 2011, was the Otago School of Medical Sciences distinguished researcher of the year. 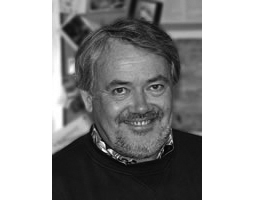 From 2009 to 2014, he was the Editor-in-Chief of the Journal of Neuroendocrinology. 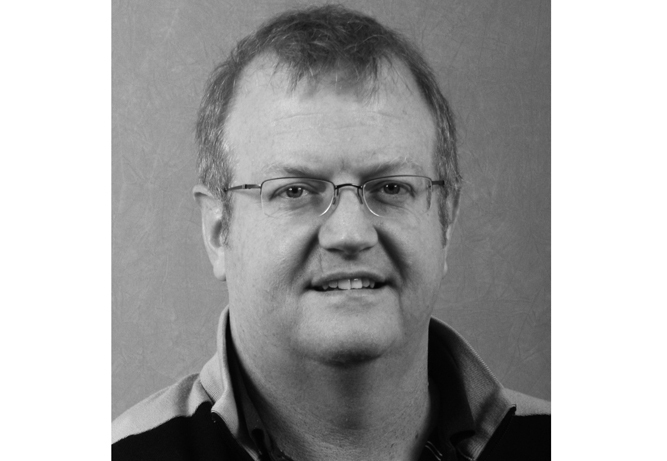 Professor Ian Hermans is Deputy Director of Research at the Malaghan Institute of Medical Research. The overall goal of his research is to understand the cellular and molecular interactions that lead to effective immunity, and to use this information to design better vaccines. A major focus of this work is on understanding how the immune system can be used to treat cancers. He oversees the institute's extensive cancer vaccine research programme, involving preclinical models of disease, sampling and analysis of human tissues, designing and clinical-grade manufacturing of new vaccines, and conducting clinical trials in cancer patients. New therapies developed within the programme are currently under development for commercial application, and also being assessed for cooperation with other cancer therapies in preclinical models. Associate Professor Rinki Murphy is a leader of the ‘Genetic Predisposition to Obesity and Diabetes in NZ Populations’ flagship research programmes. 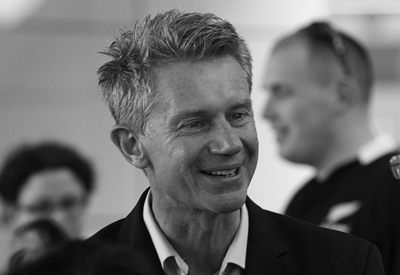 Associate Professor Murphy is a Senior Lecturer in medicine at the University of Auckland and a diabetologist and physician at Auckland DHB and Counties Manukau Health. 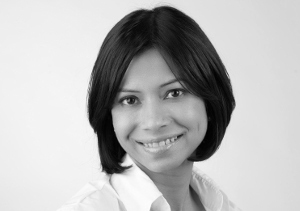 Her clinical research interests include genetics and physiology of diabetes and obesity. Dr Murphy holds a medical degree (MBChB) from the University of Auckland and a PhD in genetics and epigenetics of diabetes from the University of Plymouth (UK). 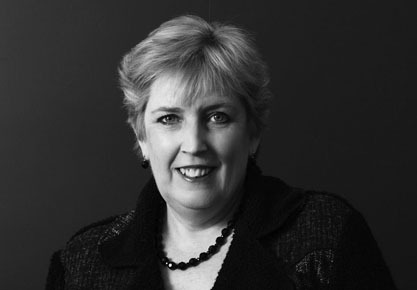 She is a Fellow of the Royal Australasian College of Physicians. 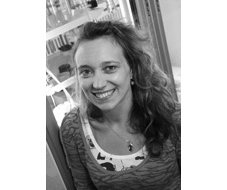 Professor Emily Parker is the Group Leader for the Chemical Biology Research Group at Ferrier Research Institute and a Board Member of Landcare Research Ltd. She received the Easterfield Medal from the NZIC and the Applied Biosystems Award from the NZSBMB. She has also received a National Tertiary teaching excellence award. Her research team explores the evolution and molecular details of enzymic catalysis and regulation. This spans the areas of chemistry and biochemistry and involves a range of research techniques including small molecule synthesis, protein engineering, and molecular and structural biology. The group focuses on the reaction chemistry and allostery of some key biosynthetic enzymes from pathogenic organisms.